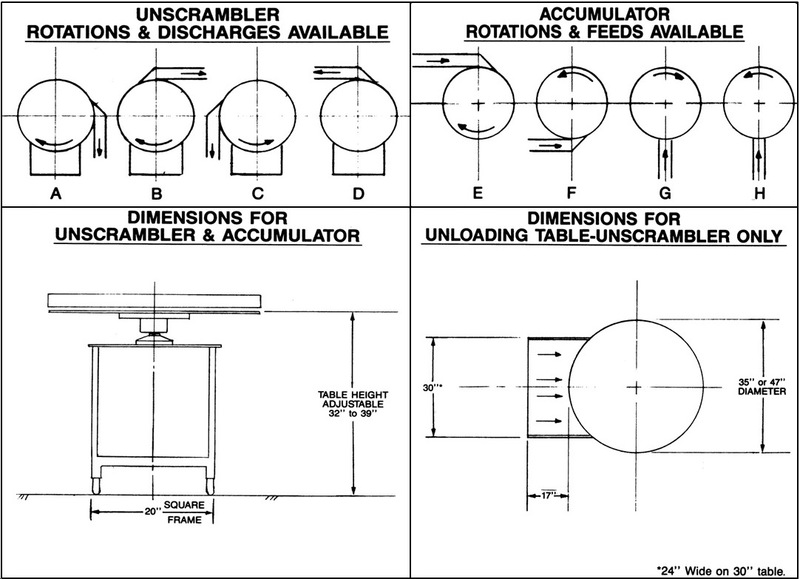 The Rotary Unscrambler is designed to feed round containers of any type, size and material. The containers are generally fed from cartons onto the unloading table. They are then fed forward onto the rotary table which sorts them into a single file arrangement and feeds them onto the conveyor of existing equipment. 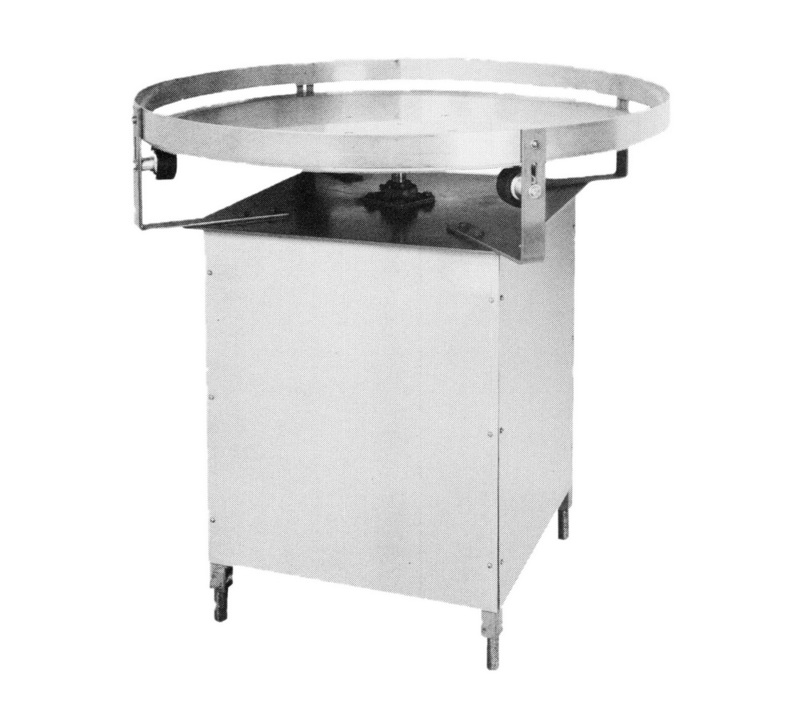 The stainless steel center diverter which oscillates insures a proper jam-free feed. Output is dependent on container size. The Rotary Accumulator is placed at the end of a production line and is designed to collect containers after they have been filled, capped and labeled. The accumulator gives the operator time to pack containers into shipping cases at an efficient pace. 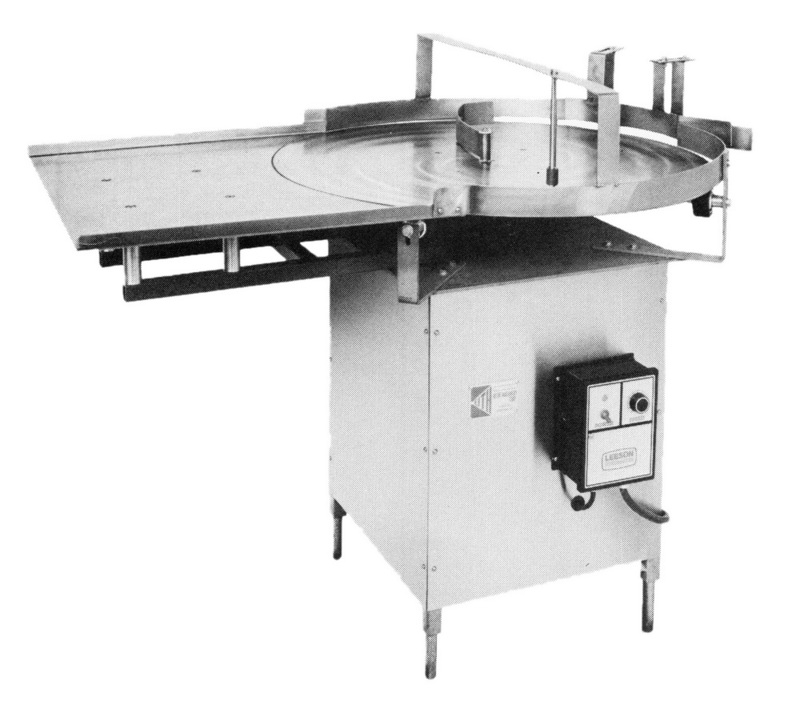 Disc Diameter - 30", 35", and 47"
Guard Rails - 2" Stainless Steel is standard. Other sizes available depending on containers to be handled. Drive - 1/2 HP 1/60/110V SCR wide range variable speed drive on unscrambler, 1/2 HP fixed speed drive on accumulator.